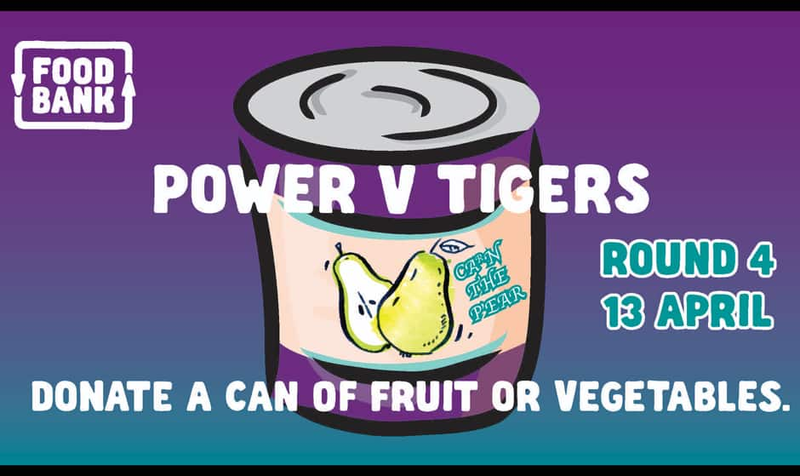 FOODBANK SA are excited to be holding a food drive to raise much needed food for those in need during Port Adelaide’s blockbuster Round 4 clash with Richmond at Adelaide Oval. On Saturday, Foodbank SA are hoping for as many cans of fruit and vegetables as possible but donations of any non-perishable food items will be more than welcome. Foodbank SA need your help to fill the shelves of their new Foodbank Mobile Food Hub. By simply donating a can of fruit or vegetables at the game, it will go a long way to making a big difference to the lives of those people in need. Look out for the Purple Donation bins and the Foodbank volunteers at the gates of Adelaide Oval or visit the Foodbank truck in the Eastern Plaza. Foodbank SA volunteers will be onsite before the game and will be available to answer any questions and tell you more about Foodbank SA and the work they do in the community. Also, look out for the new free SA Water stations around the ground where you can fill up your water bottles. They will be giving away water bottles for a gold coin donation and all money raised will be donated to Foodbank. The Port Adelaide Football Club and Foodbank SA thank everyone for their generous donations, and look forward to helping even more people after Saturday’s blockbuster with the Tigers.